After twenty-eight years of marriage to her husband Lucky, Addy Lipton feels anything but happily married. In fact, just thinking of their garage, filled to the brim with Lucky’s useless junk collection, drives Addy dangerously close to plowing her car through it. 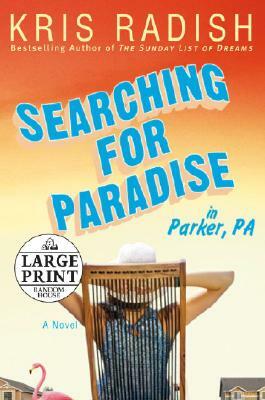 But when Lucky wins a trip to paradise—aka Costa Rica—Addy has a faint hope they may be able to turn things around. Or maybe they won’t. Either way, Addy never gets the chance to find out. On the morning of their departure, Lucky fractures his back tossing their luggage into his truck. Now, with the man she feels she barely knows anymore parked indefinitely on her couch, Addy can’t see their already shaky relationship surviving much longer. It’s time to make some big changes—and some drastic choices. Filled with small-town characters and big-time soul searching, this sparkling and inspirational tale will hit you where you live—and show you that just as happiness can get buried beneath the jumble of years, it can be rediscovered…if you look hard enough for it within your heart.